Visiting Wisconsin on June 28, President Donald Trump tweeted "Russia continues to say they had nothing to do with Meddling in our Election!" It was not the first time the president cast doubt on Russian interference in the 2016 election, contradicting conclusions of the FBI, CIA and National Security Agency, as well as reports by bipartisan committees in both chambers of Congress. Early in May, the U.S. Senate Intelligence Committee reported that "in 2016, cyberactors affiliated with the Russian Government conducted an unprecedented, coordinated nationwide cyber-campaign against state election infrastructures." "Russian actors scanned databases for vulnerabilities, attempted intrusions, and in a small number of cases successfully penetrated a voter registration database," the committee found. "This activity was part of a larger campaign to prepare to undermine confidence in the voting process. The Committee has not seen any evidence that vote tallies were manipulated or that voter registration information was deleted or modified." Such attempts continue. In a motion filed in court June 12, Special Counsel Robert Mueller’s office wrote "foreign intelligence services, particularly those of the Russian Federation ... are continuing to engage in interference operations." 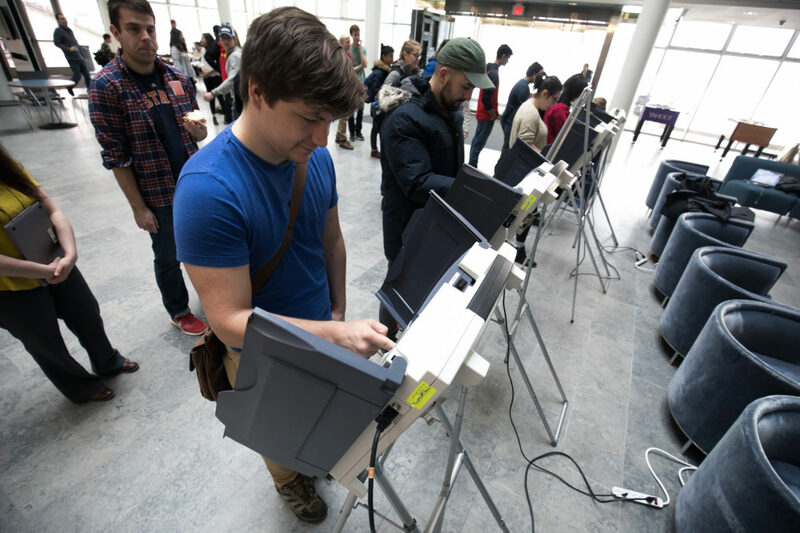 "By the end of the (four-day) conference, every piece of equipment in the Voting Village was effectively breached in some manner," according to a report released after the conference. "Participants with little prior knowledge and only limited tools and resources were quite capable of undermining the confidentiality, integrity and availability of these systems." In early July, Johnson visited Moscow with a GOP delegation. Returning home after meetings with Russian lawmakers and the foreign minister, Johnson suggested to impose sanctions on Russia for the 2016 election meddling was an overreaction. "The election interference ... is not the greatest threat to our democracy. We've blown it way out of proportion," he told the Washington Examiner. Others are not so sure. The left-leaning Center for American Progress concluded that Wisconsin’s "failure to carry out post-election audits that test the accuracy of election outcomes leaves the state open to undetected hacking and other Election Day problems." 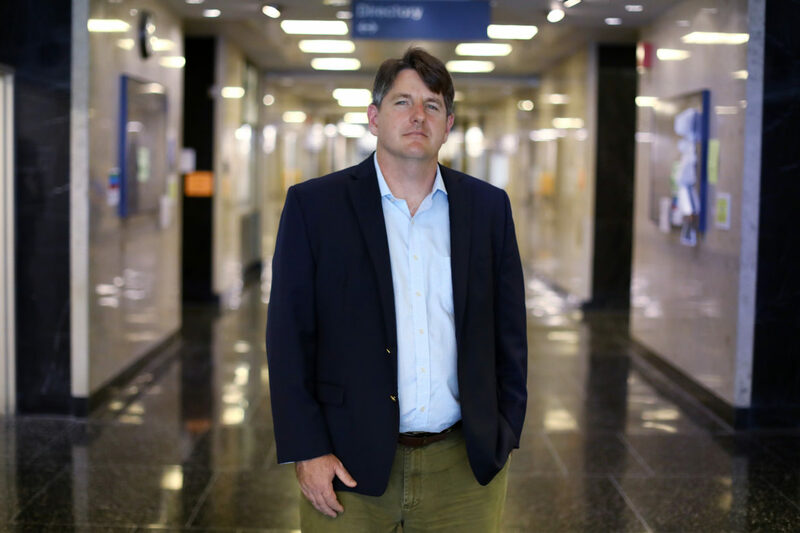 J. Alex Halderman, director of the University of Michigan’s Center for Computer Security and Society, agreed, saying "Rigorously auditing the outcome of the election is an essential safeguard against cyberattacks." "Diversity can be a strength, but in a statewide contest, I don’t have to hack all the machines," Halderman said, citing Trump’s narrow 22,748-vote win in Wisconsin. "I just have to hack some machines." To illustrate his point: In 2011, a human error made by Waukesha County Clerk Kathy Nickolaus changed the outcome of a statewide Supreme Court election. Nickolaus said she forgot to hit "save" on a vote tally in a Microsoft database, failing to report 14,315 votes, according to an independent investigation of the incident. A recount followed, which switched the apparent winner from Joanne Kloppenburg to incumbent Justice David Prosser. "Our best estimate is that at least one in 117 votes (statewide) was miscounted, and probably more," said Barry Burden, political science professor at the UW-Madison. 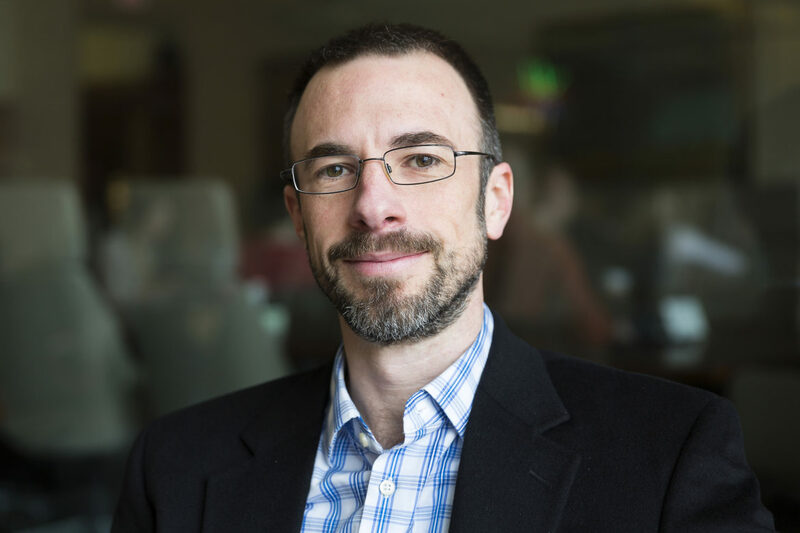 Burden, who is a director of the UW Elections Research Center, led a study of the 2016 recount. "As a voter, to think that there’s one in a hundred chance that my ballot would be miscounted — that would be alarming," Burden said. But many Wisconsin election officials say the concern is overblown. Stein’s request "was an abuse of the recount prerogative, born of the irrational belief that Wisconsin’s highly decentralized and secure elections infrastructure is vulnerable to the kind of meddling that might overturn the will of the voters," Dane County Clerk Scott McDonell wrote in a Wisconsin State Journal op-ed. McDonell told the Center he is not particularly worried about election tampering in Wisconsin. "Even now with what happened with Russians intentionally trying to affect the election, I’m still more worried about a tornado or flood." 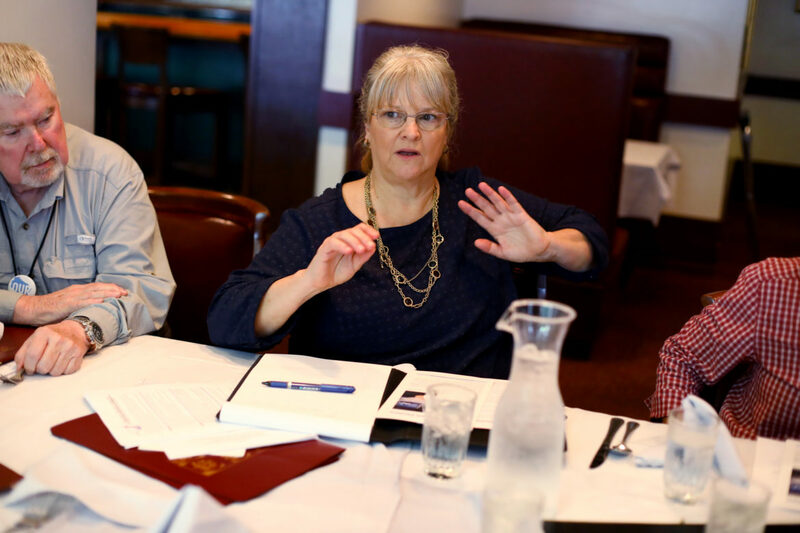 Among the experts and local activists consulted by the Stein campaign was Karen McKim, a coordinator for the Madison-based grassroots group Wisconsin Election Integrity, which focuses on the "appropriate use and management of election technology" to secure Wisconsin’s elections. In the 2016 presidential race, McKim said she was the first to catch the worst error made in Wisconsin. Even before the recount, she noticed that according to official numbers, roughly half of the 833 voters who cast ballots in the U.S. Senate race in the Oneida County community of Hazelhurst did not vote for president. Such an error, she said, "happens all the time." McKim has many such stories to tell. In 2014, hundreds of votes in a Stoughton municipal referendum were not initially counted, possibly because of "dust bunnies" that covered the optical scanners’ lenses. In Monroe, election officials lost 110 ballots cast in the state Senate Democratic primary of 2014. She favors a statistically based protocol known as a "risk-limiting audit" which involves counting a small sample of ballots. The procedure has been developed by election officials in collaboration with statisticians and security experts. It is recommended by the U.S. Senate Intelligence Committee and has recently become a requirement in Colorado, Rhode Island and Virginia. Ohio and Washington provide options for counties to run different types of audits, including these types of risk-limiting audits, according to the National Conference of State Legislatures. In 2014, Wisconsin Election Integrity activists had a major victory, convincing the Government Accountability Board (now the Wisconsin Elections Commission) to change instructions clarifying county and municipal clerks’ right to verify the accuracy of the election outcomes. McKim said she is not aware of any clerks who have implemented this measure. What have her efforts wrought? "Unanswered emails. Invitations to meetings unaccepted, even unacknowledged. Testimony at public meetings ignored," McKim said. "If policymakers in the Legislature think that this security element is a good idea, they could pass a law pretty quickly, using models from other states, like Colorado, to implement it here," he said. Although McDonell agrees risk-limiting post-election audits are probably a good idea, he does not plan to implement the measure anytime soon. 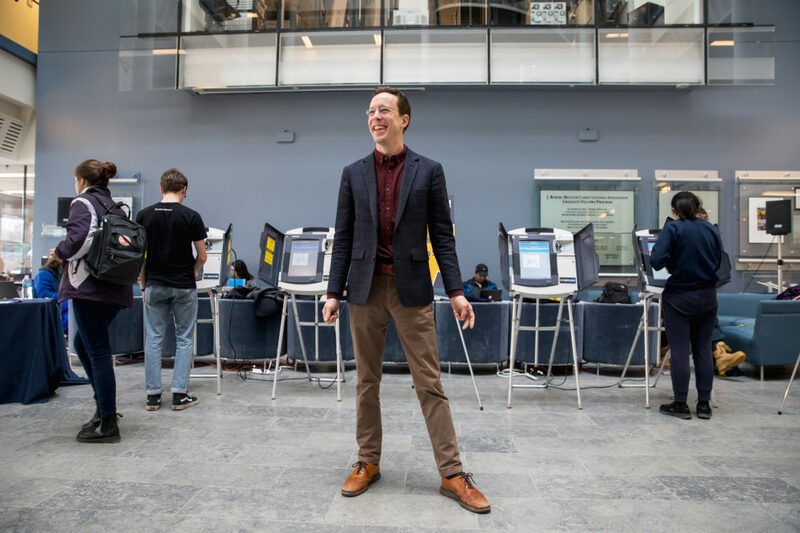 He is confident in the integrity of Dane County’s system, noting that software that tallies the votes and programs the machine to read the ballots "are not connected to the internet." Said McDonell: "I’d say we’re safe." McDonell also said any significant change in how Dane County votes would be immediately obvious to him. "I know how every ward votes. You going to have Willy Street vote Republican? I mean ..." McDonell smiled, naming one of Madison’s most liberal neighborhoods. "I know that the (Wisconsin Elections Commission) is overseeing election security in the equipment we use, the processes of the conducting of our elections and how our equipment is tested and certified," said Goeckner, adding that the diversity of Wisconsin’s election systems is the best security check. "To do those audits before certification is really difficult," she said. "The difficulty lies in the timeline to complete the audits. Elections are not the only duties clerks have to complete. However, they take up a great deal of our time while we are preparing, conducting and finalizing them afterward." "That’s the reason why you have paper — it shouldn’t be for show," said Lawrence Norden, the deputy director of the Democracy Program at the Brennan Center for Justice at New York University School of Law. "There’s no question Wisconsin doesn’t do the kind of audits it should be doing." During the event, more than 25 voting machines and electronic poll books were breached. Some of them had default usernames and passwords, such as "admin" and "abcde," while others turned out to have internal parts manufactured in China, which could be designed to be vulnerable to manipulation, according to the DEFCON report. "The WEC does not currently track which, or how many, counties, program their equipment in-house or by using a vendor," Wolfe said. Summarizing the leaked report, the Intercept said, "Russian military intelligence executed a cyberattack on at least one U.S. voting software supplier and sent spear-phishing emails to more than 100 local election officials just days before last November’s presidential election." "What gives me the energy to keep going through over six years is because it is so easily fixed," McKim said. "All they have to do is unseal those bags and count votes in public and prove that the voting machines are working right. But they don’t. I just keep thinking that next month, all the election officials are going wake up and say, 'Oh, we can do this.' And they don’t."